~ by Chaelura on April 14, 2012. Got that pack a while ago from GOG.com/gog.com/GoG… Those Guys Wot Made The Witcher and I was so excited. Then I realised that in the crippling old age of my mid-twenties all the rolling around that I used to find so exilarating about the game was making me motion-sick. A sad day indeed. Still love me some Decent 2 though. Never got into 3 for some reason! Good grief! 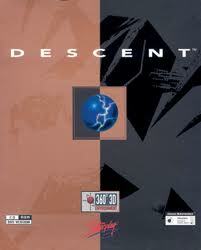 I played the hell out of Descent in university. Gotta find my “Urban Cookie Collective” CD to listen to while I play though, and off down memory lane we go! That’s three bucks I’m happy to spend!